<firstimage=”//static.makeuseof.com/wp-content/uploads/2011/01/intro1.jpg” /> With so much content available, the internet is fast becoming the one-stop solution for boredom worldwide. Sometimes just browsing, reading or watching isn’t enough – especially if your creative juices are flowing. There’s no reason ambling around the internet should be a waste of time. Who knows, you might learn something amazing, discover something you love or find one of the many pick-up-and-play services that’ll engage your browser and your brain. Here’s a few ways of channelling your creative genius down the phone line. One of my favourite fun things to do online when I’m bored is to go looking for more music to add to the collection and I never really feel like I’m wasting my time whilst doing so. Many years ago whilst looking for internet radio stations I discovered Ishkur’s Guide to Electronic Music, a toungue-in-cheek look at the history of music that was only possible with modern electronic instruments. Whilst even the author has admitted that the guide is opinionated and will never be finished, it still makes for an educational and entertaining stay. Another good way of discovering artists directly via their music is to use Unsigned.com, a catalogue of unsigned and budding musicians who have willingly posted their music on the internet. You might just find someone you like. Finally for a comprehensive cloud-based solution to a complete lack of music there’s Grooveshark. It’s like Spotify Stream Music For Free With Spotify (+ Invites) Stream Music For Free With Spotify (+ Invites) Read More for your browser, with less ads and it works a treat with the fantastic new Chrome web app 6 Chrome Web Apps You Should Really Check Out 6 Chrome Web Apps You Should Really Check Out Read More . So you’re inspired, and fancy laying down your own rough mix – Looplabs can probaby help. With 5 Flash-based virtual studios for you to choose from (including an Adidas sponsored effort, a Dubstep Studio and the Electro-House Blender) the team at Looplabs continue to produce very capable cloud-based music apps. For a very impressive module-based creation suite try Audiotool. The suite provides a number of tools, including a number of digitally recreated classics. Using virtual wiring, you have the freedom to create your own unique set up, and your own unique sound. Aviary’s free Music Creator is another online production suite (with a fantastic loop editor, might I add) and if you’re a Daft Punk fan who has never done the Daft, then you’d betterr dothedaft.com. Finally, if you’re lucky enough to own a guitar and clever enough to get the basics right there’s thousands of songs just waiting to be learned at Ultimate-Guitar. Obviously, if you’ve already got a website then this won’t really apply. However, if it’s been on your to-do list for a while then there’s no point in putting it off, especially now it’s easier than ever to establish your own little patch of cyber-space. 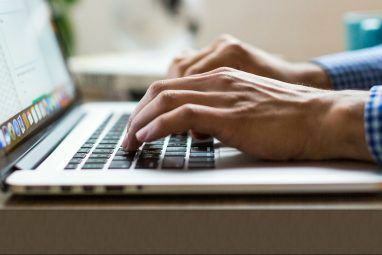 Harness that creativity by providing yourself with a platform on which to engage the web, so that the next time you’re bored you might just think “oh, I’ll blog”. 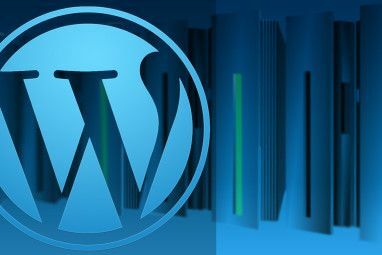 For a quick no-nonsense setup you’ll probably want to try WordPress.com, Blogger, Publisha or even the notoriously light Tumblr. These services will provide you with a place to write, though you’ll miss out on your own domain. If you’re a bit more knowledgeable on the subject of web design and site maintenance then setting up your own website or blog might appeal. 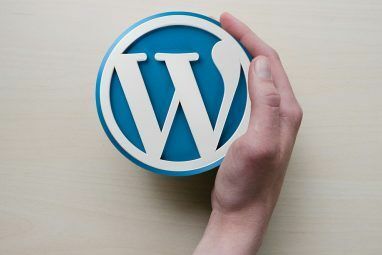 Take a look at WordPress and our many associated articles – we’ve got everything covered, from themes and plugins to social network integration and SEO. If you’d like to test it out locally then you can, with XAMPP. For a fresh look at the creativity behind image-manipulation try Psykopaint. We’ve mentioned it before, and many readers loved the snappy presentation, UI and results that can be achieved either from stock photos, a blank canvas or your own personal snaps. For generic Photoshop-type web apps then both Pixlr and Splashup make for quick image editors, whilst we were satisfied that flauntR is one of the most powerful online editors. I have to give an honorary mention to Sketch & Paint which provides a lovely interface from which to sketch and then colour in your doodles. If you’ve ever played Sim City and thought “this is for me” then maybe you should check out my recent article about city building games 5 Fun Online City Building Games That Run in Your Browser 5 Fun Online City Building Games That Run in Your Browser Read More . Amongst them were a few delightfully pixelated isometric projects, much like Cubescape. Like a digital isometric box of Lego, Cubescape allows you to build your own angular world, block by block. If you like 8bit pixel art but are too lazy to make your own then Cubescape should suffice. Of course, you could just get your old Lego out and make something. Peeron is a database of all things Lego, complete with over 3000 sets of scanned instructions. If you’ve got a big box of Lego with no papers to help you out, Peeron is the only resource you need to rediscover the fun of plastic building blocks. If you’d rather make real things that actually work then there’s always Instructables, the web’s premier DIY resource. Boredom is generally solved by the internet. Here at MakeUseOf you’re bound to find some fun games, the odd documentary 10 Awesome Free Documentaries That You Can Watch Online 10 Awesome Free Documentaries That You Can Watch Online Read More , short movies 10+ Amazing Short Films You'd Not Believe Were Made With Free Software 10+ Amazing Short Films You'd Not Believe Were Made With Free Software Just like its previous short films online, the Blender Foundation used only open-source or free software to produce movies of at least 10 minutes. Read More and even stand-up comedy The Top 10 Stand-Up Comedy Videos On YouTube The Top 10 Stand-Up Comedy Videos On YouTube Read More to enjoy. Don’t get carried away though, haven’t you got some work you ought to be doing? Any awesomely creative things you’ve discovered on the internet? Any websites that inspire you? Helpful guides? Silly games? Let us know in the comments. Explore more about: Blogging, Digital Art. I can imagine myself playing with that for hours. Do you know what it's called? Ishkur's guide is always great to go back to when you're bored! There is a site where you can generate chord progression and set a whole bunch of different things, so you're basically composing on a lighter level, thats the one I enjoy most when bored. They should make an app for it. The electronic music guide looks good as well. Every time I visit the site I end up finding another artist worth checking out. I truly cannot thank you enough, Tim Brookes, for Ishkur’s Guide to Electronic Music! It reminded me of all the great hip-hop tunes that I used to listen to while playing GTA Vice City. I'm clearing my HDD right now of all my crapware and getting that 80's and 90's music that I love. I truly cannot thank you enough, Tim Brookes, for Ishkurâ€™s Guide to Electronic Music! It reminded me of all the great hip-hop tunes that I used to listen to while playing GTA Vice City. I'm clearing my HDD right now of all my crapware and getting that 80's and 90's music that I love. Actually, it's colored pens and paper :). But I use Freemind (offline) and Mindomo (online). The free accounts are somewhat limited in terms of the number of maps you can create, but they suffice. Follow our Mindmap posts to get some ideas. does anyone knows how to embed blogspot to facebook like what publisha does? what is your favourite online mindmapping software? These are truly awesome and very educational sites to waste time. I would prefer doing these things if I had the time to waste than going into Facebook. http://www.daftdomain.com Free Music Search Engine!